The Ducati Multistrada 950 is an entry-level adventure touring offering from the Italian motorcycle manufacturer. It was first showcased at the 2016 EICMA show in Milan. 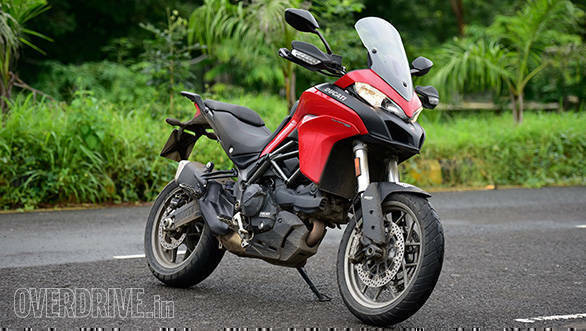 Ducati India launched the Multistrada 950 at Rs 12.60 lakh in June last year. We at OVERDRIVE have learnt from a Ducati dealer in Mumbai that there are promotional benefits i.e. accessories up to Rs 1.2 lakh or a cash discount of Rs 1 lakh being offered on the Multistrada 950 . However, Ducati India has denied offering these benefits on a nation wide basis. The Ducati Multistrada 950 is powered by a 937cc V-twin that is shared with the 939 Supersport as well as the Hypermotard/Hyperstrada 939. Peak power is 113PS and it will meet Euro IV regulations. The 11° Testastretta engine boasts new cylinder heads with better cooling as well as secondary air intake ducts. 53mm throttle bodies are new and they work with a new ride-by-wire system. Ducati offers 8-level traction control, 3-step Bosch ABS and more on this junior Multistrada. The suspension is fully adjustable - 48mm Kayaba front forks and a Sachs rear shock. The 19" front and 17" rear tyres are Pirelli Scorpion Trail II - good for mild off-roading at best. With the generous suspension travel come four riding modes - Touring, Sport, Urban and Enduro. All modes alter the throttle response, traction control and ABS settings and Ducati allows you to go into the menus and change the basic setup by mode if you like. The Urban and Enduro modes drop power to 75PS. 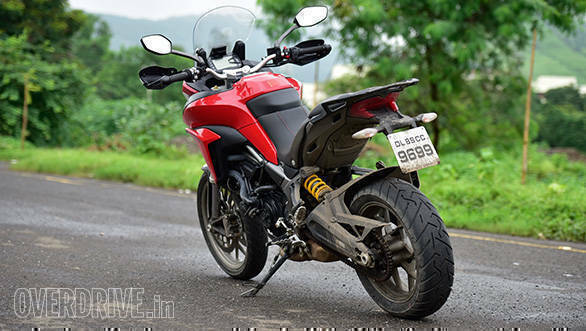 Read our first ride review on the Ducati Multistrada 950 here.